Yesterday, May 3rd was a BIG day for all Samsung fans as the world was finally introduce to the Next Galaxy - The Samsung GS III. First Impressions? - It's a Beauty! It boasts a gorgeous looking 4.8" super Amoled HD screen made with the New Gorilla Glass 2 which is going to make it super strong. I'm sure there will a few crazy people out there who are dying to put this to the test. There were quite a few You Tube videos last year when the Nexus used the Original Gorilla Glass. The phone itself is smooth, sleek shaped just like a pebble. It's said to be completely inspired by nature. It fits nicely into the palm of your hand as even though it has a nice big screen the phone itself isn't that big. The home button is small and neat ( some people are saying it's a little smaller than they would like) but I think it's pretty great the way it it. It's going to be available in two colours, White and Blue. Both will be launched at the same time on May 29 th. I know I'm excited. We had a long debate last night over which colour we'd choose? It's kind of hard but I'd definitely go with the white. There are some pretty cool new features too. There's S Voice which lets you, not only talk to your phone but actually get a quick response too! Smart Stay captures the movements of your eyes using the front facing camera. In this mode you can watch your movies or read your book or maybe just a long email. 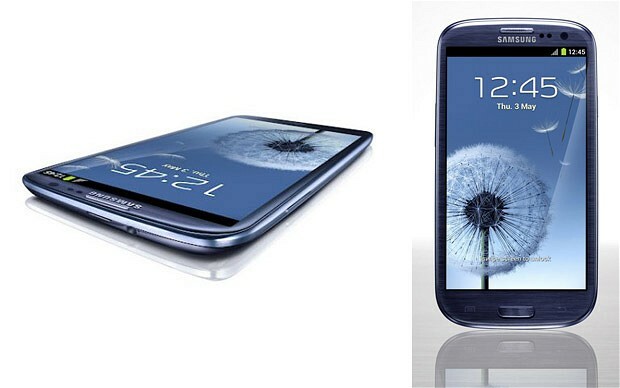 Either way with Smart Stay - Your Samsung GS III only sleeps when you do. It will only turn off it's lights when you are not looking at it, now that's pretty clever. 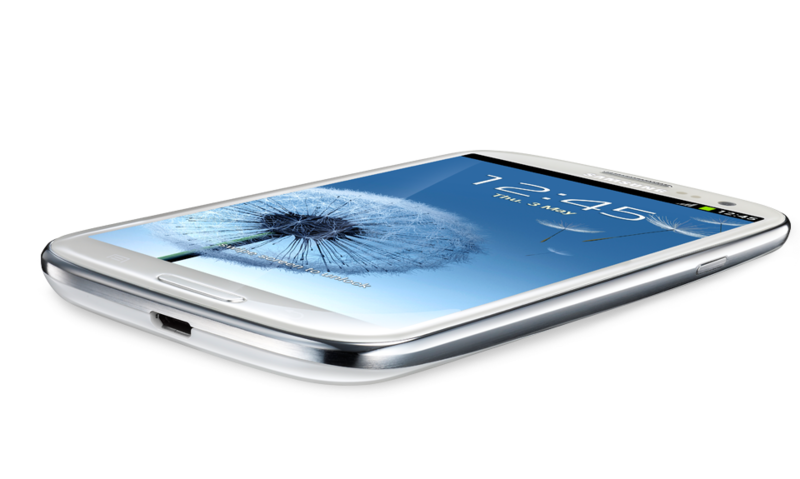 There's lots of accessories being launched alongside the GS III at the end of May. New cases and covers, Car docks and Boom box sound systems. My favourite of all was the AllShare Cast Dongle which was awesome. A simple dongle connected to your TV with a HDMI cable and then run through Wifi straight to your GS III. You can stream movies, games, pics and so much more. It's a complete mirror image of your GS III screen so what you see on your phone is what you will so on your TV, only much bigger so that the whole family can enjoy. I actually got a great feel for this last night as I was Demo - ing the AllShare Cast Samsung Booth myself. I had lots of fun with it, there was some pretty cool tricks it could do to. Using the Unique Pop Up and Play feature which lets you make your movie / film smaller on your phone into a separate box so you're then free to do other things on your phone. With the AllShare Cast Dongle, you could put your movie into a Pop Up and Play box on your phone yet still see the movie in full screen on your TV which means the family can watch a film from your phone whilst you get on with other things! The speed was still fast and the streaming wasn't affected by the mulit tasking going on at all. It was pretty smart. There are so many features I could talk about like the S Beam for quick and easy sharing. The 50GB of online storage you will get through a partnership with Dropbox and Buddy Photo Share for sharing photos on Social Media sites. Watch This Space as More about The NEW GS III will be coming soon. Unfortunately I couldn't get any pictures of The Samsung Galaxy III myself as my phone was taken away to prevent leaks as we had our Hands On Training before the launch. Security was high. Its an AMAZING phone but I totally agree, I'm not sure if the S Voice is something I'd use either. BUT there are still so many other cool features that would make getting the GSIII worthwhile.